Efflorescence and Other Mineral Deposits? DIY? Want to do it yourself? Tumbled pavers are pavers that have been loaded into large tumbling bins to produce a weathered look similar to cobblestone. During the tumbling process, corners of bricks may break off and chipping is common. This is considered normal and part of the manufacturing process. The goal is to produce a weathered, aged brick. 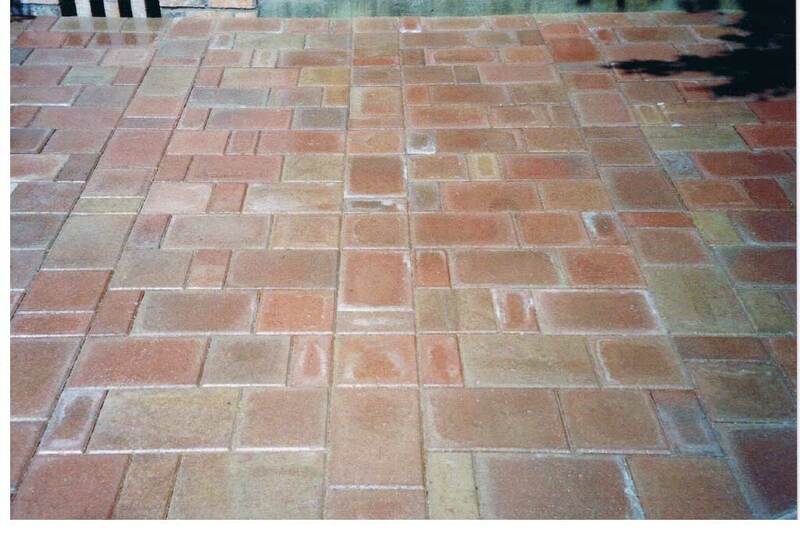 Polymeric sand is essential with this paver in our opinion. sand from about one third to one half of the sand joint for poly sand. Any design or contract changes after commencement of job may result in additional charges. Any necessary pre-approvals, permits or inspections are the responsibility of the client. Although due caution will be used, the Patio Pros are not liable for damage to underground irrigation, wiring or utilities. Payment is to be rendered half in advance upon signing contract, as a materials and job deposit, and the balance upon completion of the above contracted work. A non-refundable fee of 5% of the total contract price will be charged for any signed contracts that are cancelled.